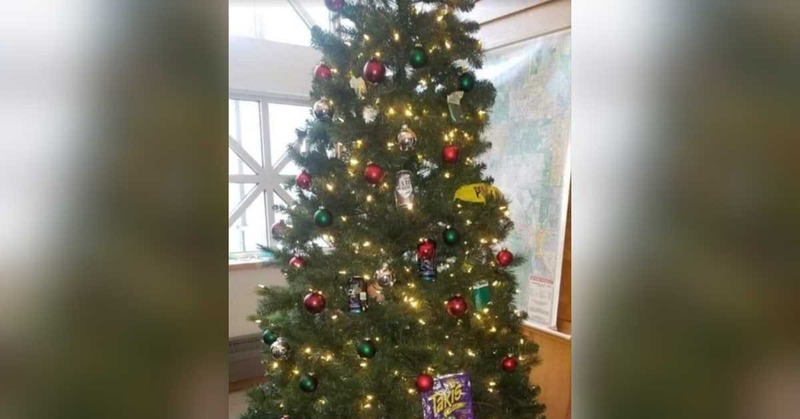 USA Today reports that a police station christmas tree garlanded with stereotypically black items and posted to social media resulted in demotions and suspensions. Minneapolis Police Chief Medaria Arradondo noted that it was "racially insensitive" in a post on the department's Facebook page. Menthol ciggies and Old English, very clever. This seems to be a thing in Minnesota. Minneapolis mayor Jacob Frey promised to fire the officer responsible by the end of the day but backed down within hours. Funny how that happens.